Penn State student innovators and community entrepreneurs can explore their potential by connecting with collaborators, mentors and investors during Global Entrepreneurship Week Penn State, presented by the Penn State Small Business Development Center, Nov. 6–15. GEW Penn State events will celebrate a decade of promoting the entrepreneurial spirit in State College, on the Penn State University Park campus and on Commonwealth campuses and surrounding communities. The Centre County Commissioners issued a proclamation for the county declaring the week “Global Entrepreneurship Week Penn State.” The initiative has 15,000 partners in 170 countries around the world. Most GEW Penn State events are free and open to the public. Actress and Entrepreneur Tanya Wright will be the keynote speaker for GEW Penn State at 6 p.m., Thursday, Nov. 8 at Ruth Pike Auditorium in the Biobehavioral Health Building on the University Park campus. Wright is best known for her roles as Crystal Burset in the Netflix original series Orange is the New Black and Deputy Kenya Jones on HBO’s True Blood. She also appeared in CBS’s The Good Wife and Madam Secretary. Wright is also founder of HAIRiette, a hair care line for people of all ethnicities that she launched by working with Lehigh Valley LaunchBox. “The best advice I would give to someone starting a business, is to do something you are extremely passionate about; concern yourself less with making money and more with serving your customer,” Wright said. Carolyn Donaldson, community engagement manager for WPSU, will moderate Wright’s keynote. Michael DelGrosso, vice president of global sales and marketing for DelGrosso Foods, will discuss his experience running a business and building a brand during his presentation, “Reinventing the Family Business,” at 3 p.m. on Wednesday, Nov. 14 at Happy Valley LaunchBox. He said the key ingredient to becoming an entrepreneur is to get started. - “Start your own Digital Consulting Firm” with Penn State Alumnus Abu Fofanah at 1 p.m., on Sunday, Nov. 11 at Happy Valley LaunchBox. - COMM Career Conversations speaker-series presents “Heading to Hollywood and Making it in the Entertainment Industry” featuring speakers from the arts and entertainment industry at 6 p.m. on Monday, Nov. 12 at the State Theatre. - Kelsie McElroy, undergraduate in Computer Science in the College of Engineering at Penn State and organizer for HackPSU, will host a discussion about “Empowering Women in Technology” at 8 p.m. on Monday, Nov. 12 in room 71 at the Willard Building. - Bring your gym bag to experience “Hip Shake Fitness” with Charlene Dipaola, founder and CEO of the online workout studio, at 9 a.m. on Tuesday, Nov. 13 in the State College Municipal Building Community Room. - Local veterans discuss starting your own business during the Veteran Entrepreneurship Presentation and Panel at 10 a.m. on Thursday, Nov. 15 in 243 Technology Center, 200 Innovation Boulevard. 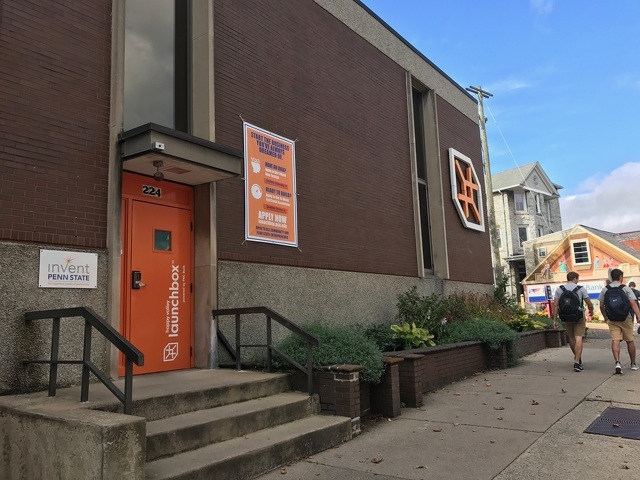 Other events designed to spark ideas in budding entrepreneurial students include a “Startup Mixer,” “Startup Pitch Workshop,” “Nittany AI Challenge Ideation” and an overview of “Penn State Innovation Challenges” at Happy Valley LaunchBox. Additional events tailored for entrepreneurs in the community include “The First Step to Starting a Business” at Merrill Lynch Wealth Management and AARP’s “Work for Yourself at 50+” at Schlow Centre Region Library. For a full schedule of events at all participating Penn State campuses, visit GEW Penn State online. 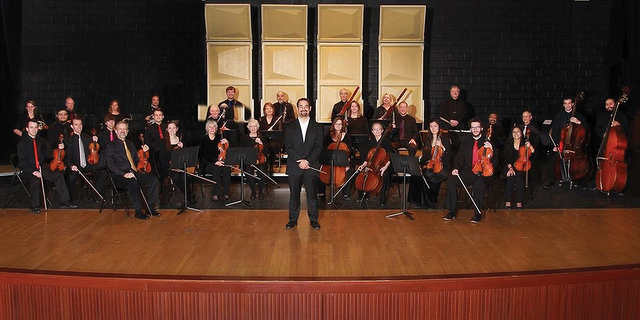 For the first time in seven years, the Pennsylvania Chamber Orchestra will feature a family concert. As part of it 2018-19 season, the orchestra will present The Snow Queen Past and Present at 3 p.m. on Saturday at Park Forest Middle School.